Hey, Fangirl? I love you. And I mean, really love you. 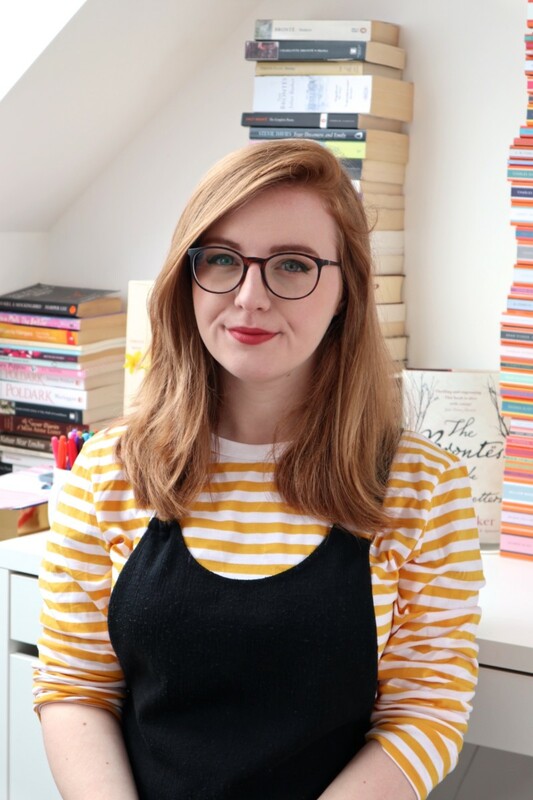 I think you may even be one of my favourite books of the year so far, and that’s saying something because I’ve read some really amazing things so far this year. The only other book of Rowell’s that I read previous to picking this up was Eleanor & Park, which has quickly become one of my favourite books and so I was thrilled when I was offered this to review. I was extremely lucky as I know a lot of far more experienced bloggers who were declined the chance to review this. Fangirl is about a girl called Cath who has a twin sister called Wren. Wren and Cath are both starting their freshman year in college and so are experiencing very big changes. Wren has decided that she doesn’t want to room with Cath and has separated herself from Cath. Cath is a major Simon Snow fan, a fictional book that isn’t unlike ‘Harry Potter.’ You name it- t-shirts, posters, her own fan fiction account- and Cath has got it. She has immersed herself in the world of Simon Snow. Told over a period of a year, Fangirl tells the story of Cath getting used to her new life and also brings up old struggles. Cath was a very easy character to relate to. It’s not very often that I can say I empathise with a character, but I did with Cath because we are very alike. At times I wondered if Rowell was writing about my own life. Cath loves reading. Do I? Check. Cath loves writing. Check. Cath would rather stay in and read or write than go out. Check. Cath has quickly become one of my favourite female characters. As always, Rainbow Rowell has delivered on the romance side and I kept wanting MORE. More of those adorable scenes, please! I just ate them up. There are a lot of subjects broached including mental health issues and alcohol abuse. I thought both things were dealt with in a mature manner and in a way that the reader could understand, even if they had no history of either things. I really want more of Fangirl. I’m already imagining different scenarios and what could possibly happen after the novel’s end. It was such an amazing and beautiful book and I’m so glad that I requested it because it made me realise that it’s okay to be your own person and to do what you want. As long as you’re happy. Rainbow Rowell is definitely one of my favourite authors and I’ll read anything she writes. Haven’t heard of this before but I’ve seen so many amazing reviews for Eleanor & Park (which I haven’t read either!). I’ll definitely be checking the library for them both, great review! This one sounds like a lot of fun. I’ve yet to read any of Rainbow Rowell’s books but I’ve heard lots and lots of good things! Yay!! I’ve only read Rowell’s Eleanor & Park, too, and I loved that one as well. I’m so glad you loved Fangirl! I’m really, really looking forward to reading it. I seriously need to read some of Rainbow Rowell’s books! I’ve seen this!! I really liked the idea of Fangirl but for some reason I didn’t request it. So glad you liked it! Aw, Lucy, this is such a cute review! I remember seeing Eleanor and Park around and I really wanted to read it but never had the time.. And I LOVE the title of this book: FANGIRL!!!!!! Seriously, this must be named for us book bloggers 😀 Cath sounds really awesome, don’t you just love it when you can empathise with a character? It’s those moments when you’re reading and thinking: ‘We should be best of friends’ that is the most amazing feeling ever! I have been wanting to read Eleanor and Park ever since John Green reviewed it.. and I still need to get my hands on it! 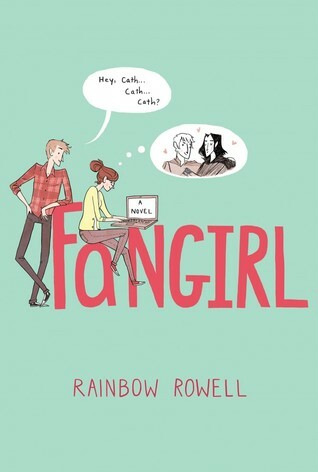 I was scrolling down Goodreads one day and discovered that Rainbow Rowell had written another book… called Fangirl. I screamed. Like, literally dancing around my room. A book about fangirling??! SOLD! Sounds great! I hope to read this book soon. AHHHH so jealous that you got an early copy! I’ve seen Fangirl at lot on blogs lately and it seems like a great read! So happy you liked it and I’ll definitely try to find a copy when it comes out!